The Ramboll Group continues its positive course in 2017. Once again the engineering, design and consultancy company reports the best operating profit in company history and an improved EBITA margin. With a solid order book across all markets, Ramboll is well positioned for future growth. The Ramboll Group delivered yet again a strong performance in 2017. Operating profit before goodwill amortisation (EBITA) increased by 2.8% to DKK 618.9 million – the highest in the company’s history – and EBITA margin improved to 5.8%. Organic growth was 2.8%. At year-end, Ramboll’s strong order book amounts to DKK 5.6 billion compared to DKK 4.8 billion at the end of 2016. “Our Middle East and Asia business unit has achieved a successful turnaround and is now moving to become as profitable as the rest of the Group. Our Energy business unit delivered according to plan, but it is not as strong a result as we have seen in previous years. Our Oil & Gas business has realised a good result in a still difficult market. The measures we took following the oil and gas market plunge in 2015-2016 have had a positive effect, so that our Oil & Gas business unit is now again one of the most profitable in Ramboll." 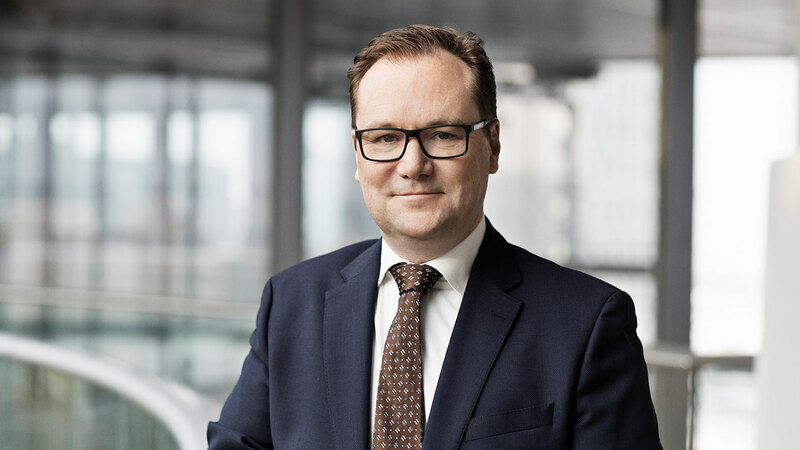 “In light of the good results for 2017 and a 17% increase in orders since last year, I expect stronger organic growth in 2018,” Jens-Peter Saul says. Ramboll’s strong performance allows the company to place focus on growth and invest in innovation and digitalisation which are top priorities in the Group’s 2020 strategy Winning Together. To drive growth and strengthen specialisation, a number of global Spearhead services have been defined and developed. Covering internationally deployable services such as High-Rise Buildings, Major Crossings and Smart Mobility, the Spearhead services will target specific client and market segments and help Ramboll offer high-end solutions internationally and within markets where the company already has a strong presence. “The Spearhead services are established to strengthen Ramboll’s specialisation in certain areas while keeping our broad multidisciplinary competence base and holistic offering. They are a growth engine for the future, and I am pleased to see that they are already taking off strongly,” says Jens-Peter Saul. The Spearhead services are part of a new operating model and matrix organisation implemented to boost profitable growth and increase collaboration globally. Ramboll’s enhanced competitive strength is already evident in the number of high profile projects won in 2017 that involve expertise across disciplines and geographies. In Denmark, Ramboll was selected as engineering consultant on a 300 meter high-rise building which will become Western Europe's tallest building. In Norway, Ramboll, as part of Team URBIS, will play a central part in the creation of the new government quarter in Oslo. In Finland, Ramboll has been selected to participate in the design of the 25-kilometre Jokeri light rail line between Helsinki and Espoo which is projected to carry more than 100,000 passengers per day by 2040. In the UK, Ramboll will help prepare the Digital Railway programme, a cross-industry initiative designed to support the sustainable growth of the UK's railway infrastructure through the accelerated deployment of digital technologies. In Abu Dhabi, Ramboll has secured a major win as a lead consultant for the real estate developer IMKAN’s ‘Makers District’ development, which comprises a mix of residential, hospitality, commercial and retail space spread across 18 hectares of land. In the Americas, Ramboll was engaged by Brazil's Federal Public Ministry to oversee the remediation of the Rio Doce Basin, following the 2015 collapse of a dam which caused the release of contaminated water into the river basin. In Singapore, Ramboll has won the contract for design and implementation of the world’s largest energy recovery facility which will employ experts in Singapore and Denmark over the next ten years.